The car industry saw its humble beginning around 1879 when the first stationary gasoline engine, made by Carl Benz, ran in a performance display that was put on New Year’s Eve. Most people certainly didn’t expect it to develop as quickly as it did, and over the next couple of decades monumental strides were made in improving the first rudimentary models that were made available to the public. As a matter of fact, starting around the year 1894 there were many speedy cars, even if you take into account today’s standards. Before we begin our exploration of the fastest cars produced between 1894 and 1914, it ought to be said that many of the speed measurements before 1945 were ballpark figures, and therefore they were a bit more theoretical in their nature. Nevertheless, they are all the data we have, and therefore the only information we can trust. 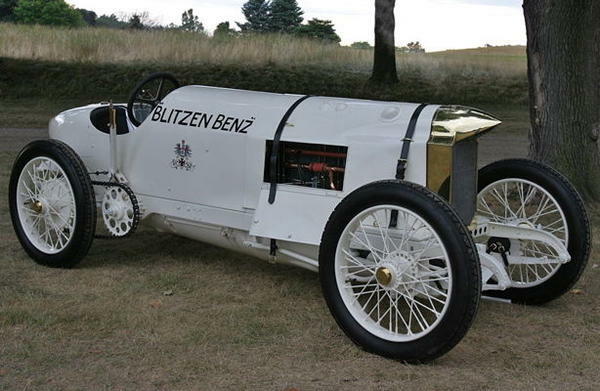 Arguably the fastest car of its time, the Benz, produced in 1911, was capable of reaching speeds of up to 141 miles per hour, translating to 228 kilometers per hour. Bob Burman sat at its wheel when he broke Barney Oldfield’s speed record over a mile-long distance, a feat that would go unmatched until 1919 when even faster cars were pumped out on the market. The second fastest car during the years we’re covering is another Benz, this time the Blitzen model. Created in 1910, just a year before its faster variant, it was already quite effective at reaching extremely impressive top speeds, clocking at a maximum of 131 miles per hour, which equates to 211 kilometers per hour. This is the car that Barney Oldfield used to establish his record at Daytona Beach, before it would get broken by the afore-mentioned Burman. It actually had the distinction of becoming quite famous for some time as Oldfield went on a promotional tour where he won virtually all the races he entered with the car. 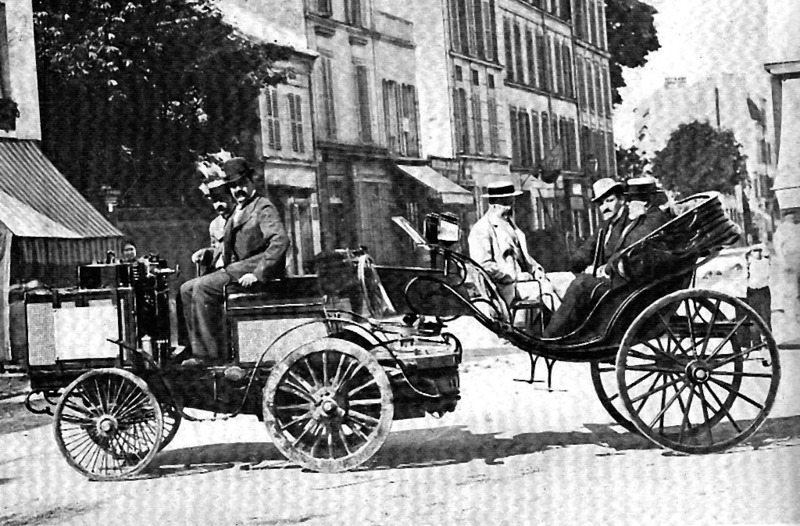 While there is a bit of a gap between the Benz models and the rest of the competition, other manufacturers weren’t slouches either when it came to speed, as is apparent with the 1913 Peugeot that, in addition to being stylish, could go at speeds of up to 106 miles per hour, or 170 kilometers per hour. It was actually a model that revolutionized the design of car engines, introducing the four-cylinder variant, essentially writing history in doing so. Some may say that cars which came before the 1910s aren’t even worth looking it, but the 1898 Jeantaud Duc EV definitely proves them wrong, being capable of reaching a speed of 39 miles per hour (63 kilometers per hour), quite respectable for the age it was developed in. The car has a fair bit of history to it, actually being the driven by the winner of the world’s first official speed contest for automobiles, shattering all records that came before it. 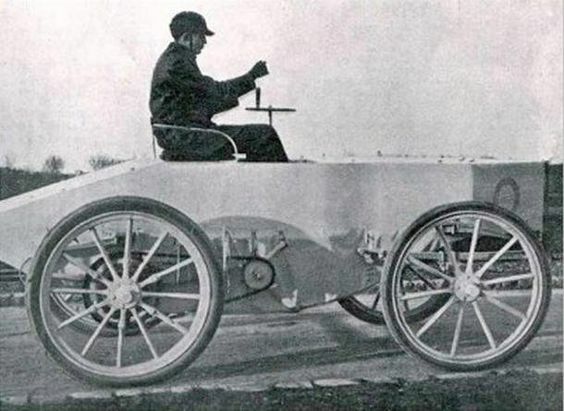 To finish things off, let us pay our due respects to the 1894 De Dion Bouton, a steam car that was the first across the finish line in the very first motorsport event of any kind, the Paris to Rouen race. While on average it maintained a speed of 12 miles per hour (or 19 kilometers per hour), it is quite likely that it was capable of attaining even higher speeds with better quality roads… not bad for a car made more than 120 years ago.